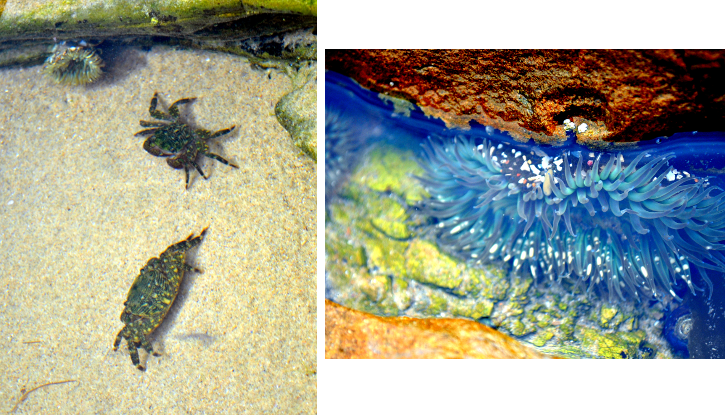 What is a tide pool? 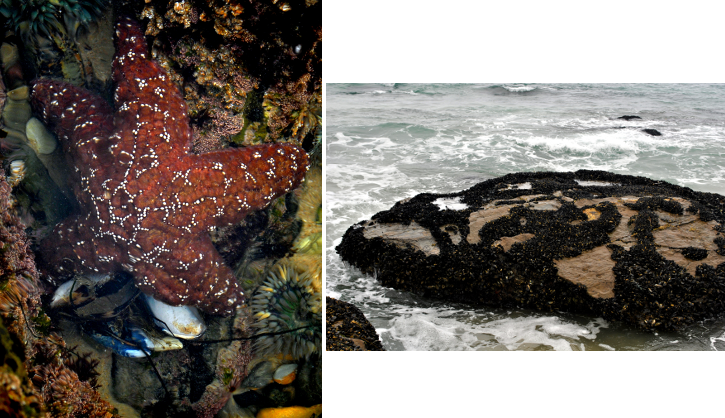 A tidal pool is a pool of water remaining on a reef, shore platform, or rocky beach after the tide has receded. 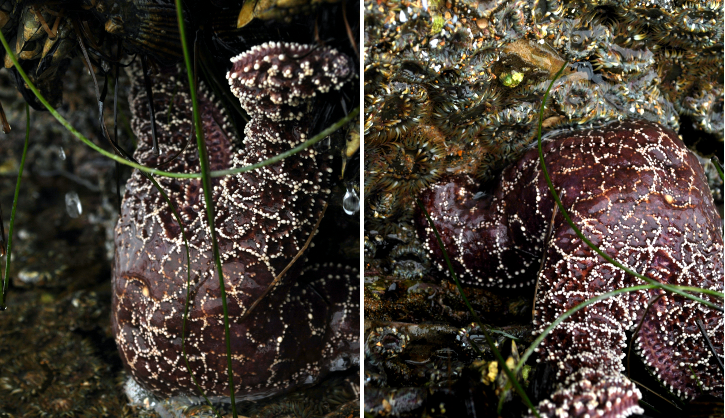 Tide pools provide a home for many sea animals, plants and organisms. Crystal Cove State Park is a state park in California, featuring 3 miles of Pacific coastline, open bluffs, inland chaparral canyons, offshore waters designated as an underwater park, and the Crystal Cove Historic District of beach houses. The park is located in Newport Beach, although Crystal Cove itself is a stretch of coastal cliffs and a beachfront cove situated just north of Laguna Beach. The woodland area is popular to those who enjoy horseback riding, mountain biking, and hiking. With the offshore waters attracting those who enjoy activities such as swimming, surfing, sunbathing, and scuba and skin diving. 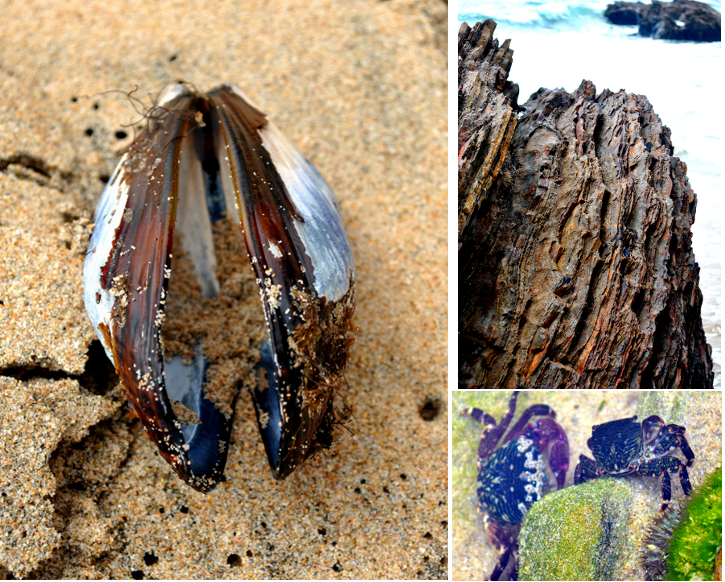 Visitors can also explore the tide pools and sandy coves. 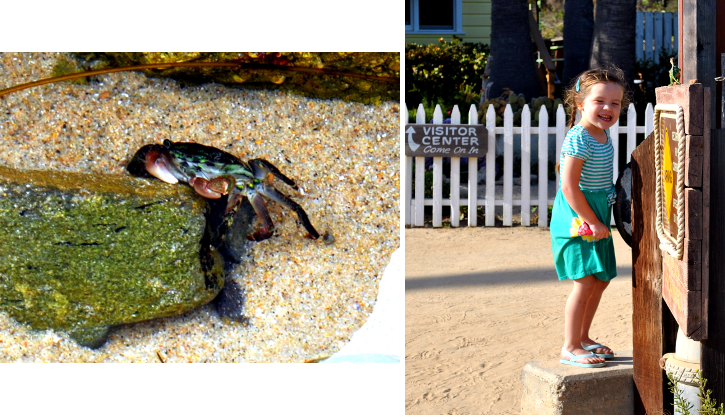 Crystal Cove promotes school visits to the tide pools and has developed a series of environmental, curriculum-based programs that their staff can present either in the classroom or at the park. For more information on this, click here. 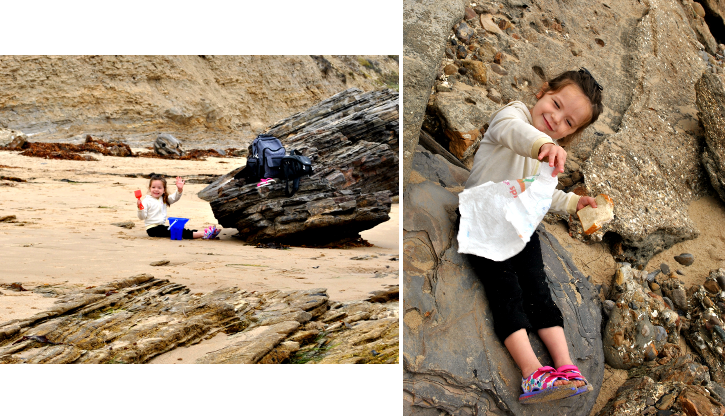 I highly recommend parents/teachers taking their kids to the tide pools at least once. It's a highly educational experience for children of all ages. 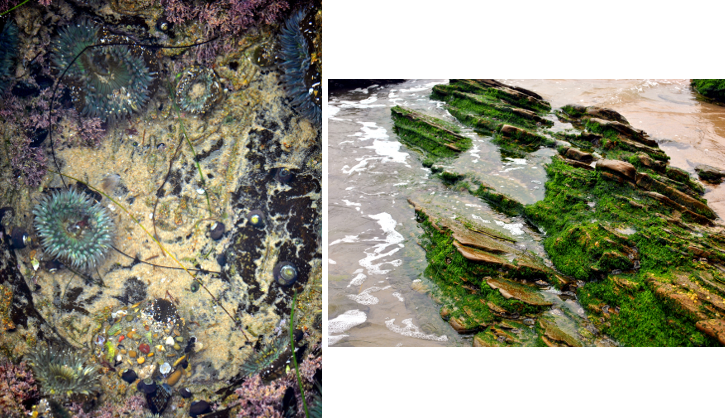 Our day at the Crystal Cove tide pools actually took 2 days. The first day we went it was not quite low tide...and since that is when you get to see the good stuff, we knew right away that we had to go back. We still had a great time and got some pretty neat photos. It was nice and sunny and Punkin had a blast looking at everything and playing in the sand. Day 2 was a little different. It was not quite as sunny (in fact, it was a little cold) but we saw more than we did the first day (starfish!) and got better photos. We also had a nice little picnic with our wonderful ocean view. I think the only thing I did not get a picture of was the sea urchin. We saw one at the end of our first day and I didn't take the photo because we were so tired at this point and ready to leave and I figured I would get a better photo when we came back at low tide. Unfortunately, we did not see any sea urchins the second day. Needless to say, I was very upset. Live and learn, right? 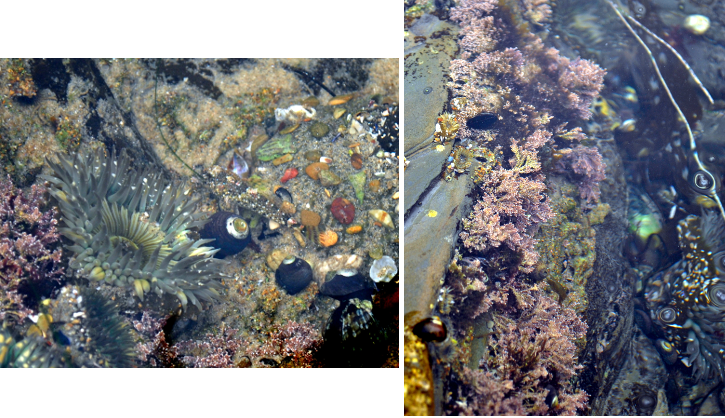 Here is a Tidepool Education Field Trip Information sheet you can go over with your students and little ones, taken from the Crystal Cove website; and for a fun classroom worksheet after the trip, just print the Facts We Learned at the Tidepools sheet. The park is free, however, there is a $15 parking fee. This allows you parking for the entire day.You can obtain an annual pass for $195. Oversized vehicles (25' long/9' high) are charged $30 per day for parking and $280 for an annual pass. hi there! New to the Friday Blog hop group and really enjoy your blog. Am all set up on your Follow link so look forward to reading more! WOW!! It's so pretty & so many unusual things. How fun!